Decking up your new casa and looking for something utilitarian but exquisite? 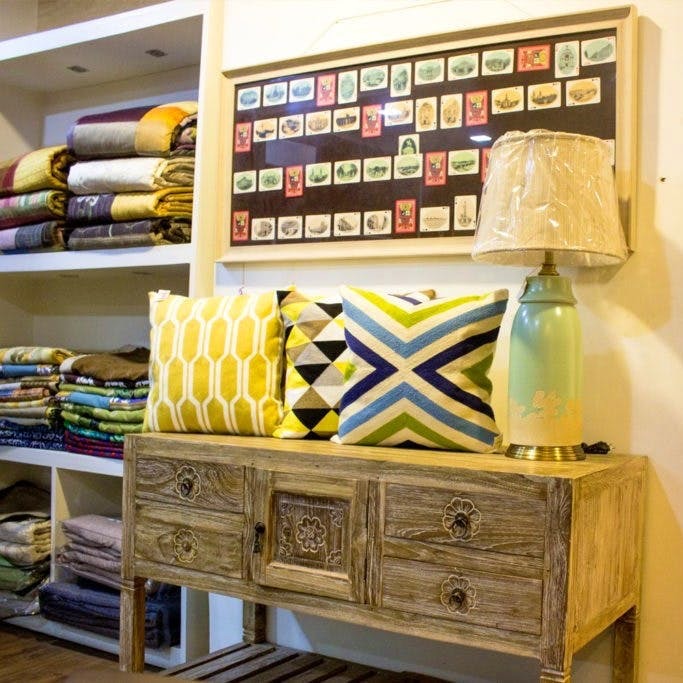 We found this quaint decor shop on Russel Street, Irris that’s full of statement eclectic home accents and accessories. Here are five things you can pick up that you’d rarely find elsewhere. Tucked in a building on the busy Russel Street, the old wooden spiral staircase that leads you to this charming home decor store is lined with paintings and prints, new and old. Right at the beginning you will come across a wall full of rare Tanjore and Mysore art paintings. A rarity in Kolkata, Irris not only stocks up on theses rare gold inlaid art works but also customises them according to your needs. For those who have a liking or taste for it, this store is likely going to be your favourite haunt. Porcelain jars and plates with vintage Chinese birds and flowers to fine porcelain crockery and tea cup sets, this store has a beautiful collection. We loved their individual coffee mugs and the Tuscan wall plates with Arcadian paintings. The porcelain tea cup sets start at INR 2,400. One of the things you’ll find in plenty in this store is the metal art decor and accents – from brass stands with quirky animal figurines to table accents like brass-topped glass jars and fun wall decor. We loved the birds and animal figurine wall hangings, the quirky colourful metal car wall decor and the vintage lead-panelled stained glass lamps that are now mostly found only in churches. Irris has a stock of statement furniture styles from natural wood lacquered day beds to rotating colonial chairs and leather-clad utilitarian cabinets to petrified wood carved centre tables. Looking for the perfect frame for a photo or painting? Their in-house frames section has beautiful Gothic and baroque frames in wood or fibre. Though the collection at Irris keeps changing over months, it also has a good collection of wall clocks that have a vintage look and feel to it. TBH, almost everything in this store will charm you. They stay open from 11 am to 7 pm and prices are between INR 650 to INR 50,000.